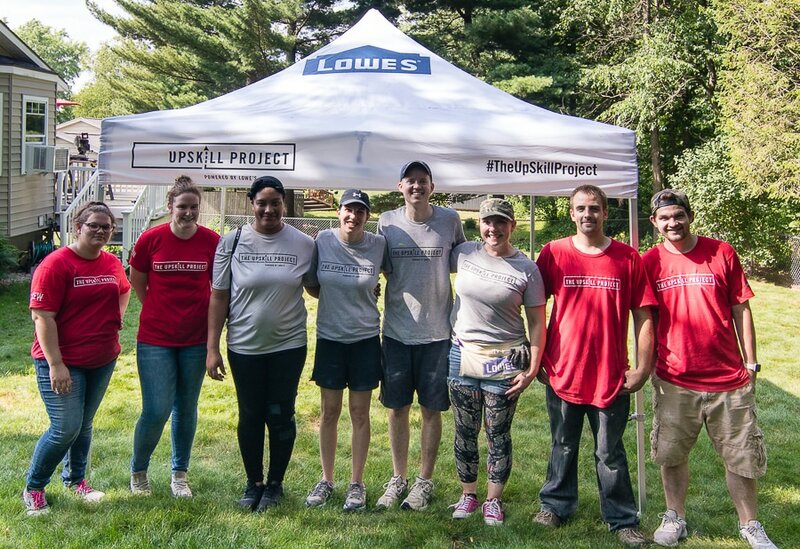 Hey guys, do you remember way back in April when I told you all about how I was partnering with Lowe’s on The UpSkill Project Contest? 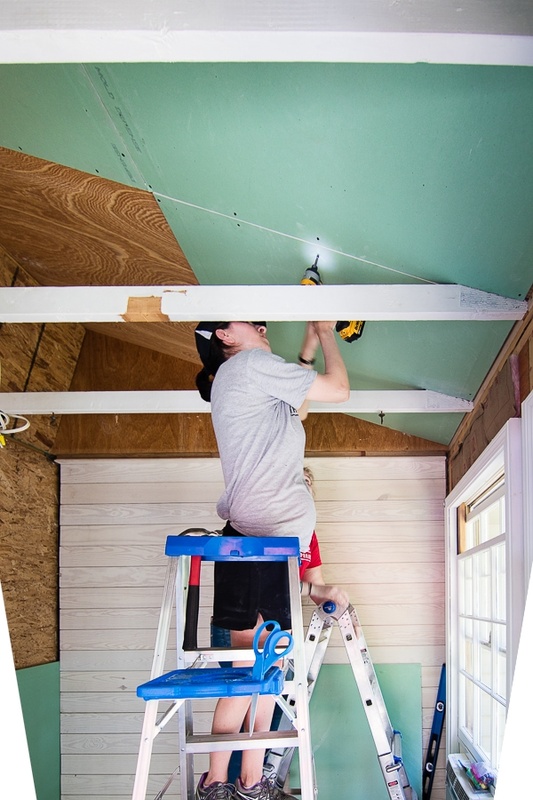 It was a contest designed to teach homeowners DIY skills and help them complete a project in their home. Well, they picked 5 local residents from Grand Rapids, and I got to spend a weekend hanging out with one of them documenting the whole process. Shout out to Kim’s mom, who reads my blog and told her about the contest! Also side note – another reader emailed me that they were one of the participants as well, I’m so thrilled 2 of my online buds were able to take part in The UpSkill Project! 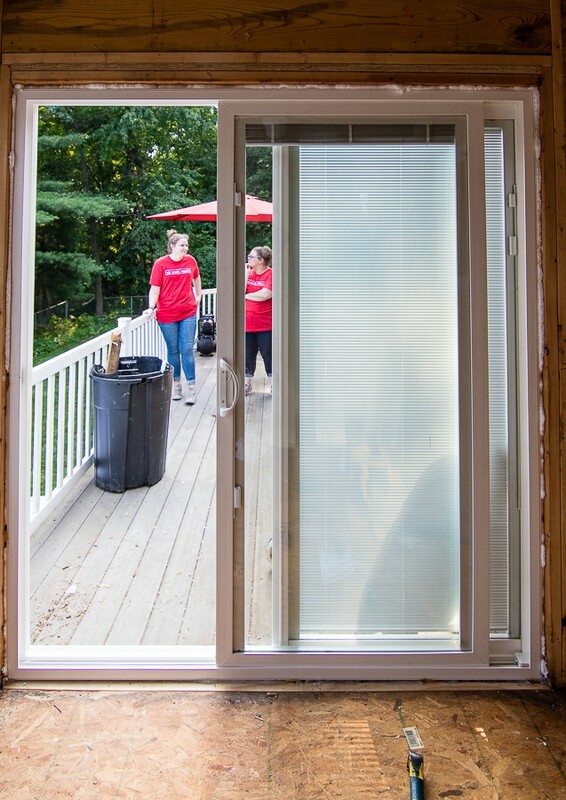 Kim and Brian purchased their home about 2 years ago and there was a small sun porch/storage area off their kitchen and deck. Unfortunately, it was largely unusable space, because the door swung inward and hit any furniture they tried to arrange in there. They mainly used it as a catch all for storage and a place for messier crafts for their kids. They knew this space had potential and they could turn it into a great space with a little help. They wanted a retreat to enjoy at the end of their day after the kids went to bed. A place to enjoy nature without the bugs and also a quiet spot to enjoy coffee in the morning. 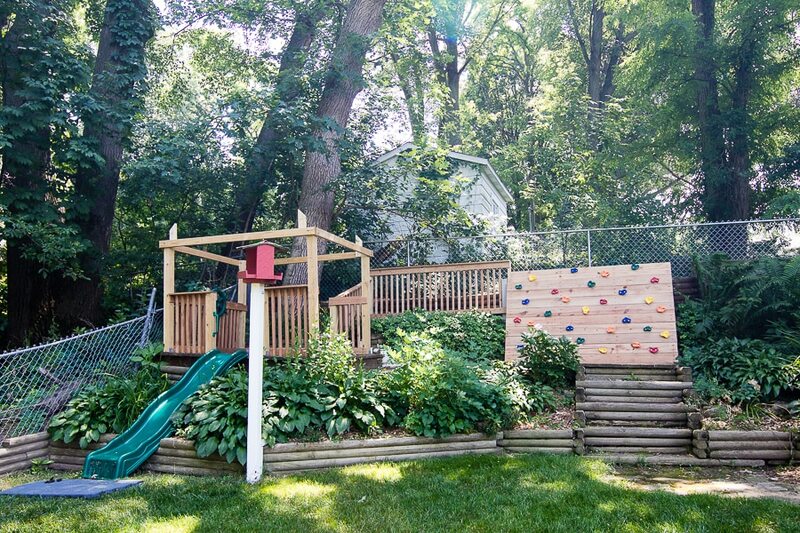 They have completed some awesome DIY projects in the past, like how fun is this play area they built for their kids? Now, my kids are begging for a rock climbing wall – ha! 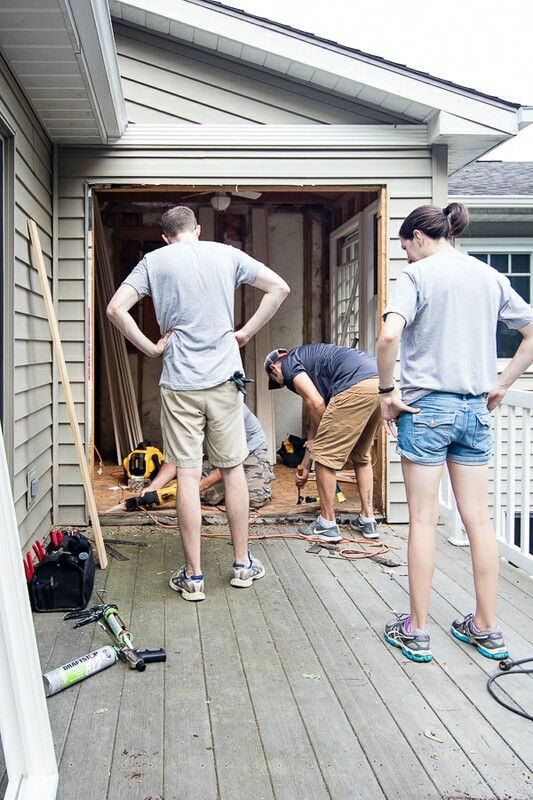 They were a little nervous to tackle installing a new door, drywall and all the trim work that comes along with drywalling a space. 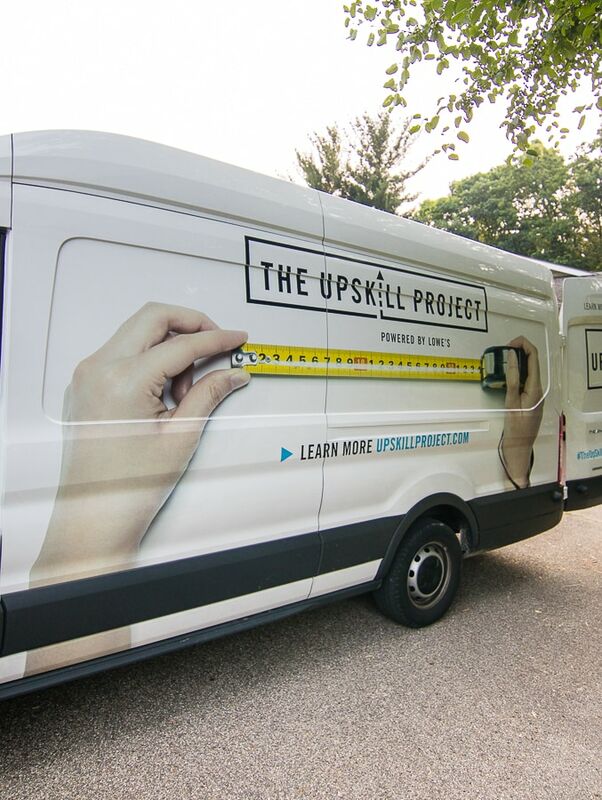 The UpSkill Project was such a great solution, because they already had some DIY skills, but just needed a little expertise to guide them along. First up was getting that old door out and swapping it for a sliding door. I can’t believe how much bigger this made the space feel. 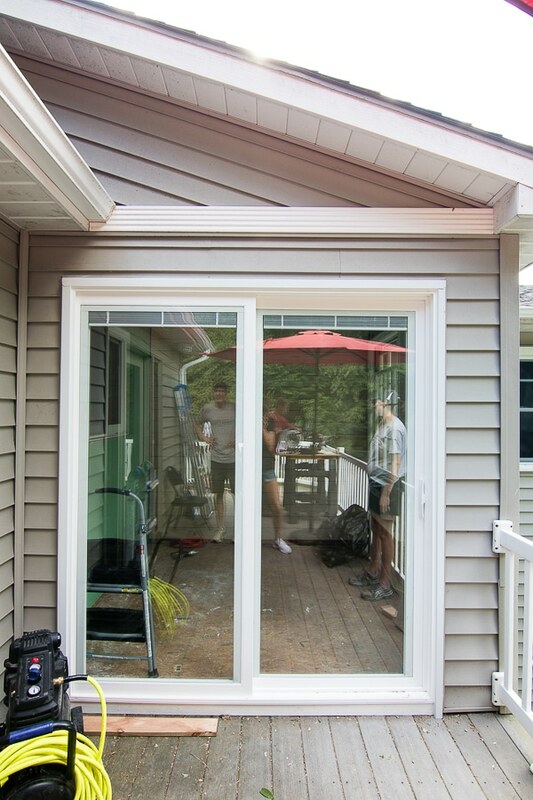 They opted for a Pella Thermastar door with built in blinds to help keep the heat of the sun out during the day. 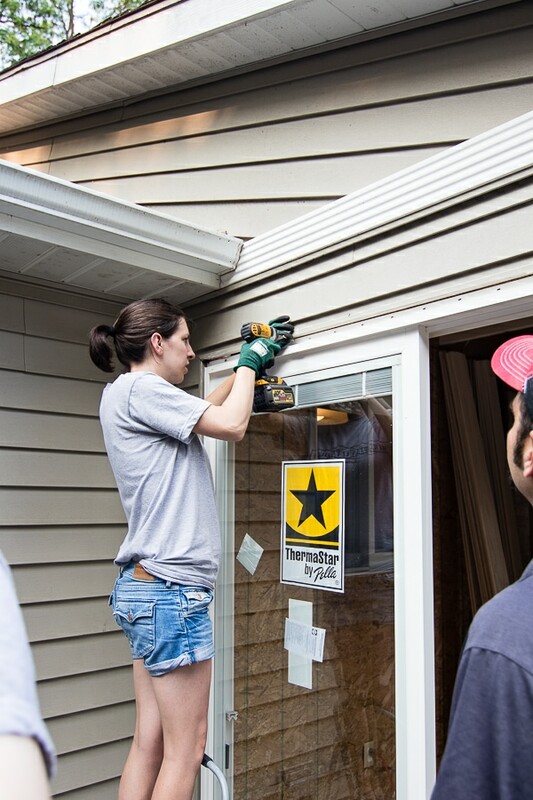 Kim and her husband were able to jump right in and learn how to install the flashing, screw in the door to the siding and seal it with foam. They also got to take a few new tools for a test drive, the Dewalt Oscillating Tool Kit was a favorite that made this an easy job. 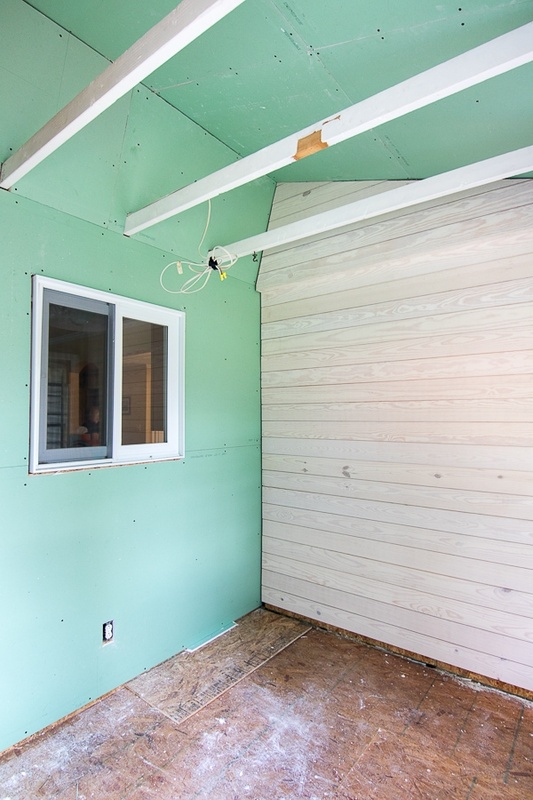 Next up was shiplap and drywall. 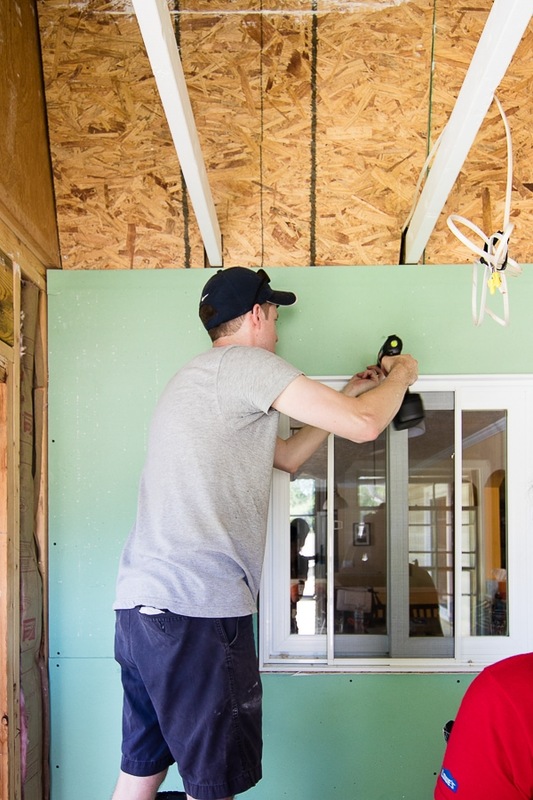 The homeowners have a big basement renovation they want to tackle in the future, so learning to drywall was high on their wish list. 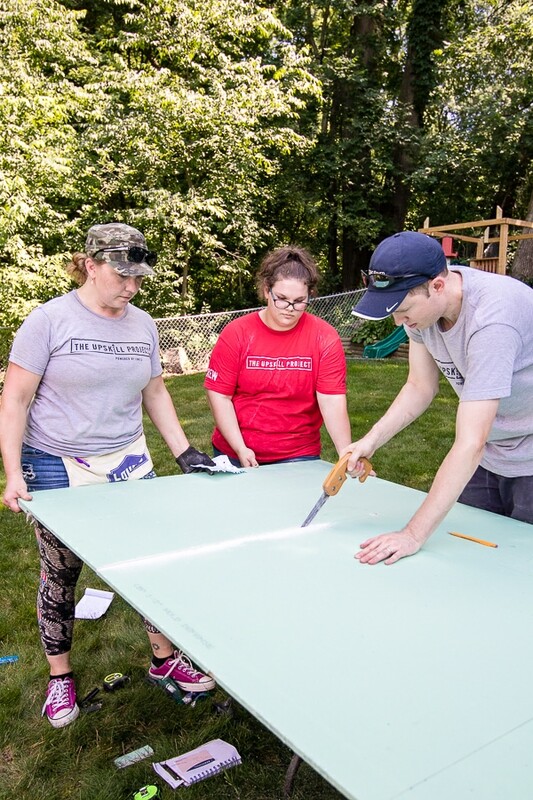 They were also excited to learn more about trim and detail skills so they can apply those in their basement redo coming up soon. 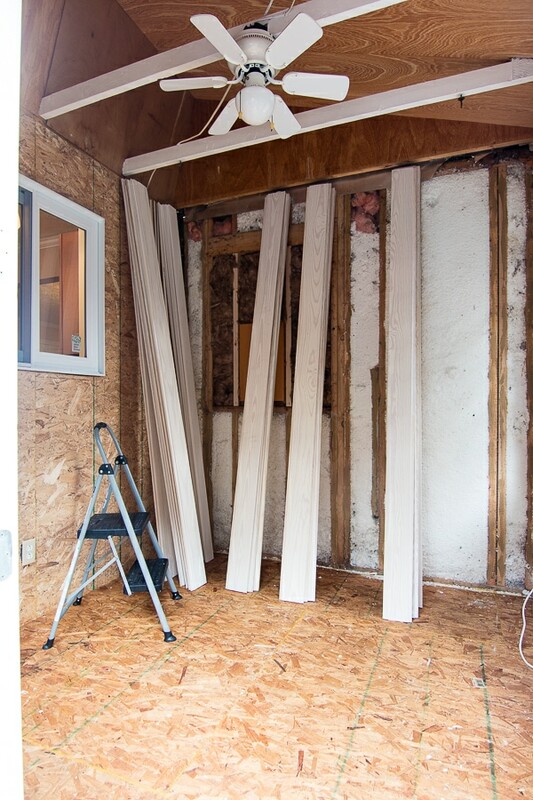 I have to admit that I have never tackled drywall on my own either, so this was a fun process to learn about for me too. Thankfully Lowe’s has a great tutorial here, where you can read all about the best way to drywall. They used this special mildew resistant drywall, because this room isn’t temperature controlled. 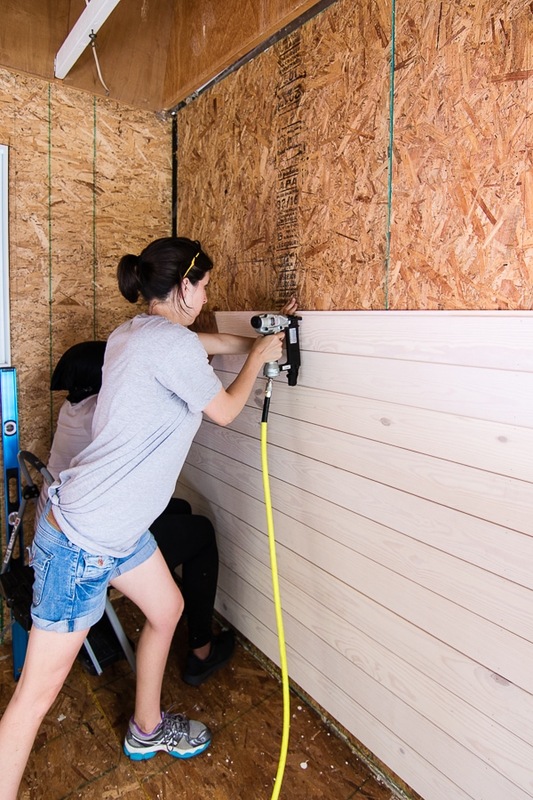 They also have a great shiplap tutorial (read it here) as well. They used a cool white washed ship lap product from Lowes, you can find it here. 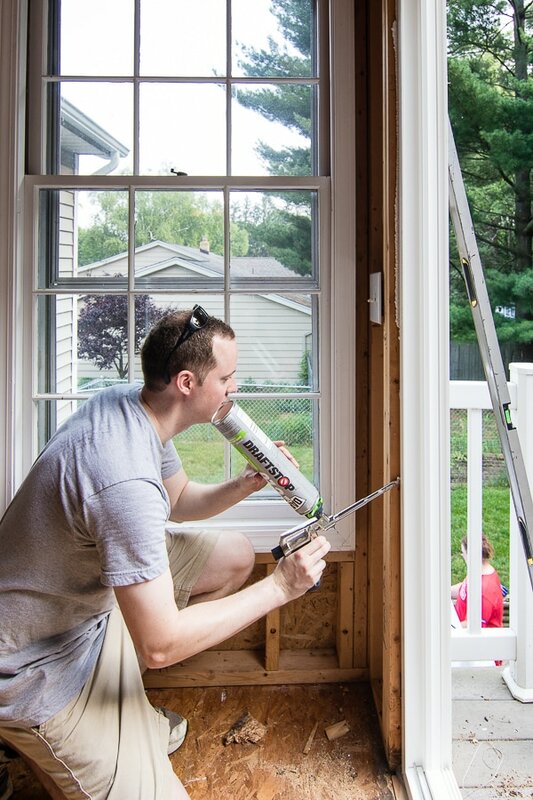 It comes pre-finished in a few fun colors and stains, and it was so easy to install with a Hitachi Brad Nailer. I couldn’t believe how fast this was to install and the white washed finish on it is so pretty! Plus, it saves the hassle of having to paint. 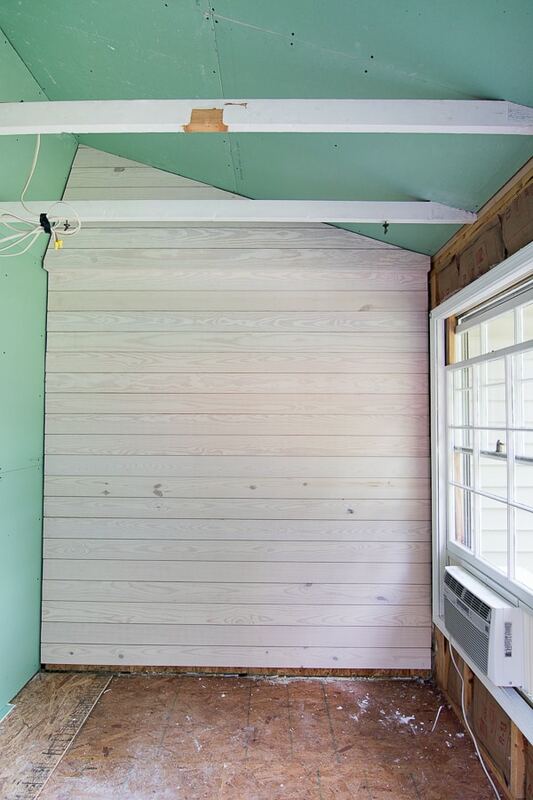 The team was able to get the drywall hung, the shiplap done, and the new door installed all in one weekend! It’s such an improvement! 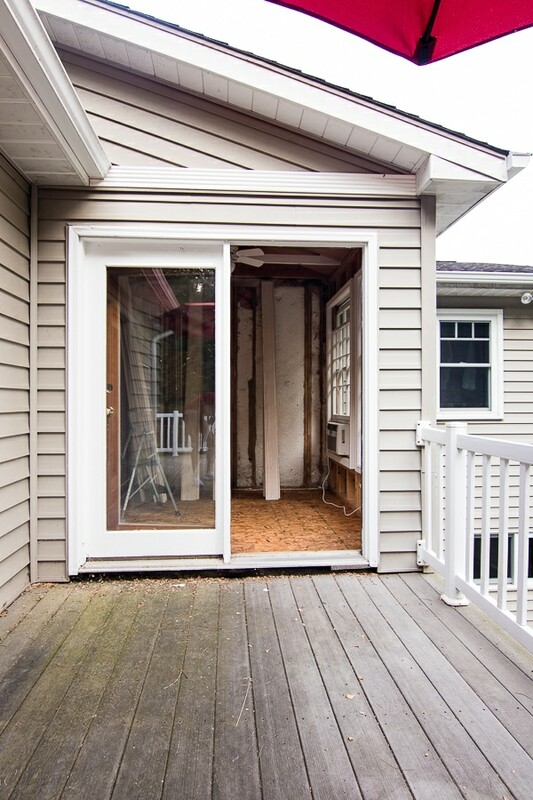 The homeowner’s still have big plans to swap out the windows, install new flooring, and paint. They showed me their paint color and flooring, and it’s going to be a beautiful space to relax in when it’s complete. They are also excited to put their new DIY skills to use in the future! Thanks again to Brian, Kim (and Kim’s mom!) and the awesome team at Lowe’s, who let me tag along to document the whole process. It was fun to see what they could accomplish in a weekend! This was a great contest! Fun to see the process! It was so fun to watch it all come together! 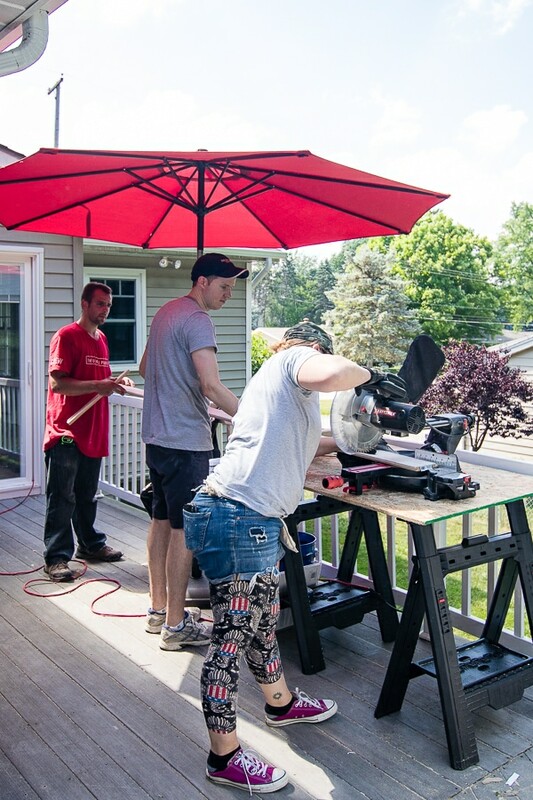 So cool – I look forward to entering the next UpSkill Project contest if Lowe’s hosts another. What a great idea! Thanks Claire, they may be coming to a city near you next!